A big favorite of our artists, this paper-covered florist bindwire is a lightweight, yet strong wire that makes it ideal for use in any craft project. Wonderful wire that is especially suited to crepe paper flower crafting, you'll be surprised how handy this wire is in the workshop and around the house! 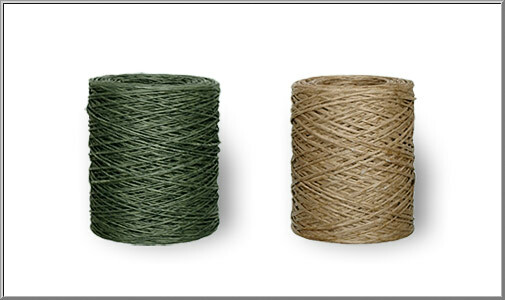 Produced in France especially for the floral industry, this nifty professional-grade bindwire is made of 26-guage wire with a flattened covering of moss green or natural kraft paper. Sold as one large spool. of bindwire, which is 672 feet total.